IMPORTANT: You need to provide Registration Info for the computer on which you are planning to use POAS. Failing to do so will attract re-registration charge again. Please Click on Run when asked to "Save or Run". This will open a small window with registration details required to get full version. Click on "Copy" to copy details and Paste it in above box. I have read and agree to the Terms and Condition, and receive important communications from us electronically. Charges are not refundable or transferable in any case. Any major change on India post portal or Postal rules may attract additional charges for updates. Click here for more details of T&C. 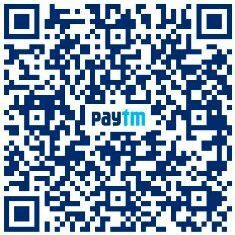 Use QR Code or pay to 9429429950. Print KYC and Account open form from software. We can keep CIF details and generate KYC, Account opening form completely filled with data. It is very easy to submit multiple schedules to Portal without opening Website. Even generates pay slip and commision slip. This website is licensed under a CC BY-NC-ND 4.0.